But that doesn’t mean it’s just a superficial fad. There are significant, substantial reasons why people are choosing to buy produce locally–both in terms of environmental sustainability and health benefits. Not only does buying produce locally help to sustain local farmers, but it also leads to an agricultural system that is more sustainable overall. How, you ask? Buying produce locally reduces the fuel needed for produce transportation. It preserves the produce that would have gone bad during transit, cutting back on waste. It reduces the need for chemical preservatives and refrigeration. And, it increases transparency between the farm and the public, so that farmers can be held accountable to use ecologically sound farming practices. But the benefits of buying local produce extend far beyond environmental sustainability. Many people choose to eat local for a slightly more *selfish* reason: local produce has numerous great health benefits! For these reasons and many more, people who are concerned with healthy living should consider buying locally-sourced produce. Of course, it’s not enough to want to buy locally if you don’t know where to buy local produce. 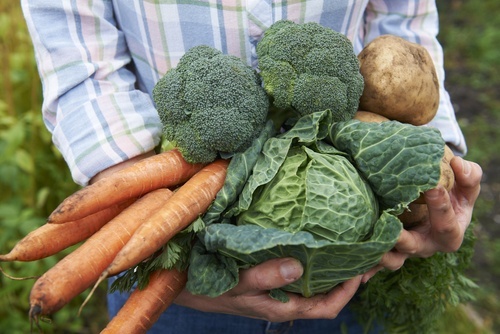 If you’re lucky enough to live in an area with farmland, many often have farm stands offering freshly-picked produce. Other farms can be contacted to purchase direct-sourced produce. Some might feature CSAs–Community Supported Agriculture. Joining a CSA means you’re not only supporting your local farmers–you’re also guaranteed a regular supply of fresh produce as it’s harvested. If obtaining food directly from farms isn’t an option for you, farmers markets are another great place to buy produce locally. You might want to consider looking into local produce dealers on the web, which allow customers within a certain distance to buy local produce online. Chances are, if you’re interested in eating healthy, you’re also interested in living healthy. For lovers of health food and local produce (locavores, some might call them) who want to have a more holistic approach to health and wellbeing, don’t forget the importance of activity and exercise. It truly is crucial. Wellworks For You provides you with the tools to make comprehensive healthy living easier and more attainable. With innovative activity monitoring devices, apps, and programs, they introduce a higher degree of accountability to your health choices and activities. Wellworks For You has the tools and resources to complete your comprehensive approach to wellness. Now get out there and enjoy the best things in life: fresh produce and good health!